All-Weather Floor Mats were intended to give the best possible protection for your 2009 Toyota Yaris's floor. Many of our front and rear mat applications are model specific, while others are assigned as the best possible fit for your 2009 Toyota Yaris from our many shapes and sizes. Some rear mat sizes are designed to be trimmed so that they may be customized to fit almost any vehicle. I ordered front floor mats for my car as l thought they would get the worst wear and tear and l had a small budget. My husband drags in all the snow and muck if he drives the car and the floor mats are still going strong as am I and the car. They were good value and one of my better buys. I like the Yaris as it's not an SUV, yet one sits higher in the car than in others. It's small enough to be able to park in San Francisco (where parking is sparse) without too much difficulty because of its compact size. 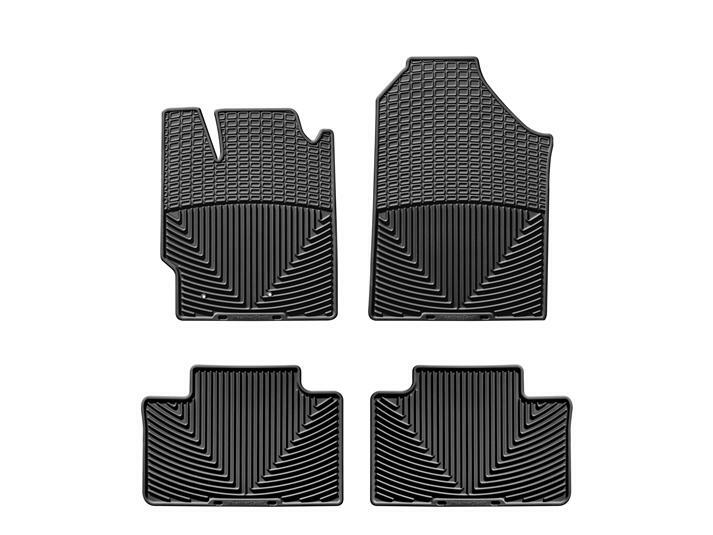 The floor mats that come with the car, though, couldn't be any more poorly designed than they are--really! Within 3 weeks, the mats no longer stayed in place. Anytime I got into the car, the mat would slide up under the accelerator and brake pedals. It became sort of dangerous. I talked with Toyota to see if they made any more substantial mats, and the service guy recommended your company. I ordered mats which are absolutely wonderful! They are substantial, fit like a glove, and most importantly, they stay in place rather than sliding all around the floor. I no longer worry about mats sliding under the floor pedals and becoming unsafe. Thank you for your product--really!! !